Robert M. Stanley completed the Nomad in June 1938 in San Diego, California, during a stint in the U. S. Navy. He wrote down general specifications for the sailplane in 1935, and continued to refine the design while serving aboard the USS Ranger. Stanley finished building the Nomad in the basement and yard of a house he shared with other Navy personnel. With no previous experience flying sailplanes, Stanley first flew the Nomad at the 1938 National Soaring Contest at Elmira, New York. After he landed in a field at the end of a cross-country flight, a souvenir hunter stole the elevator control surfaces. Stanley replaced the conventional tail with one of the first V-tails seen on an aircraft. Stanley returned to Elmira in 1939 and he flew the Nomad to a new American altitude record, 4,987 m (16,400 ft), that more than doubled the old record. The next day, July 4, Stanley broke the record again, climbing to 5,254 m (17,284 ft) inside a towering thundercloud. Stanley became president of the Soaring Society of America in 1940, but he did not design and build another sailplane. He worked for the Bell Aircraft Corporation as that firm's chief test pilot during the war, and he made the first flight in America's first jet aircraft, the Bell XP-59 (see NASM collection). Robert M. Stanley designed the Nomad during a stint in the U. S. Navy. He wrote down general specifications for the sailplane in 1935, and continued to refine the design while serving aboard the "U. S. S. Ranger." Stanley knew Amelia Earhart and he was on the "U. S. S. Lexington" when that ship searched for the famous aviatrix after she and her navigator, Fred Noonan, were lost while attempting to fly around the world. Stanley finished building the Nomad in the basement and yard of a house he shared with other Navy personnel. Stanley completed the Nomad in June 1938 in San Diego, California, and immediately took the sailplane east to compete in the National Soaring Contest held at Elmira, New York. At this time, the aircraft was equipped with a conventional cruciform empennage. With no previous experience flying sailplanes, Stanley made his first flight in the Nomad during the contest. 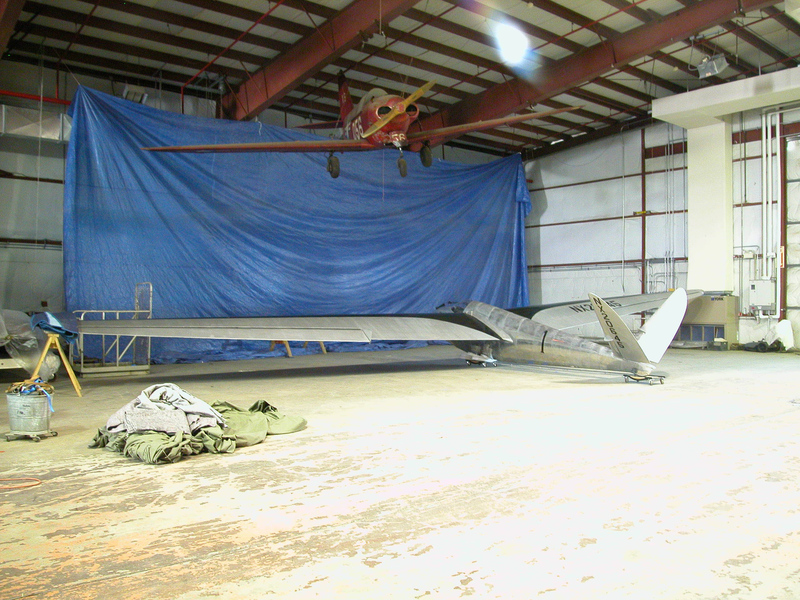 After he landed in a remote field at the end of a cross-country flight, a souvenir hunter stole the elevator control surfaces and Stanley replaced them with the first V-tail seen on an aircraft. The designer cited several advantages to this arrangement over a conventional layout: the V-tail was smaller in area so it generated less drag, and it flew in undisturbed air above the turbulent wake generated by the wing. This made the "ruddervators" (combined rudder and elevators) more effective and allowed the sailplane to fly with a smaller, lighter V-tail than a cruciform, three-surface tail. The V-tail had plenty of ground clearance so it was less vulnerable to damage from rough airfields. Stanley claimed that a two-surface V-tail was simpler to construct than a cruciform tail that required three surfaces. Stanley returned to Elmira in 1939 and flew Nomad to a new American altitude record at 4,987 m (16,400 ft), more than doubling the old record. The next day, July 4, Stanley broke the record again, climbing to 5,254 m (17,284 ft) inside a towering thundercloud. Stanley became president of the Soaring Society of America in 1940 but he did not design and build another sailplane. He worked for the Bell Aircraft Corporation as that firm's chief test pilot during the war, and he made the first flight in America's first jet aircraft, the Bell XP-59 (see NASM collection). Stanley founded the Stanley Aviation Corporation in 1948. 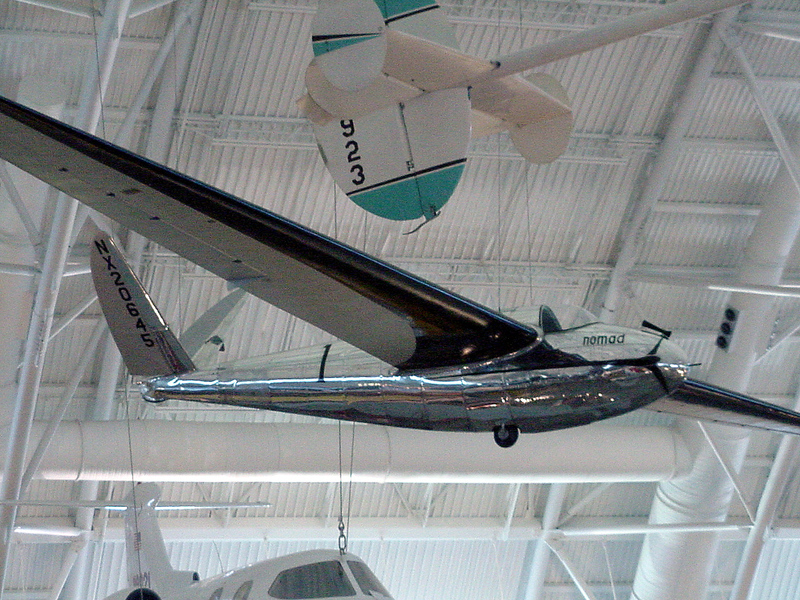 Mrs. Katherine Stanley generously donated the Nomad to the National Air and Space Museum in 1978, following her husband's untimely passing the year before. Gift of Mrs. Katherine N. Stanley. 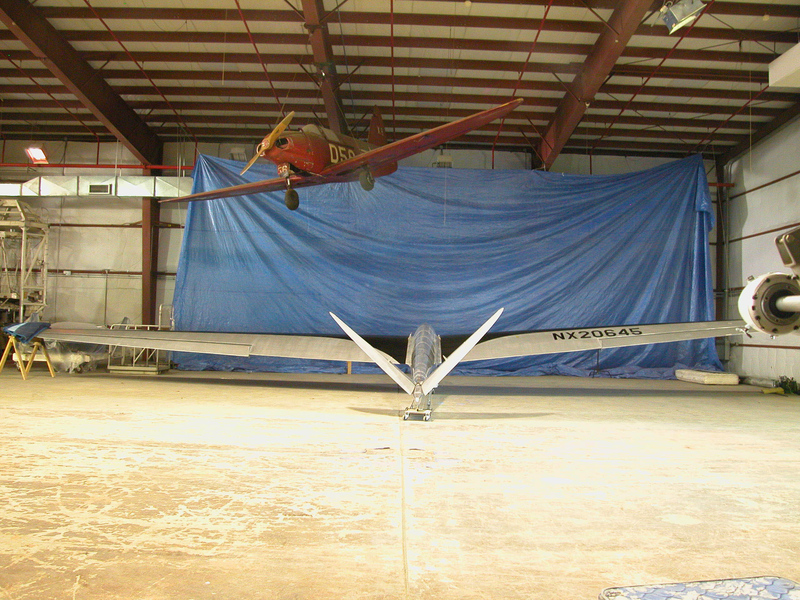 Single-seat, vee-tailed high-performance sailplane built in 1938.